Stephen Covey is often quoted with his ‘7 habits of highly effective people‘. His books have been bestsellers for many years. Many leadership schools have worked with his principles. That is not surprising when you look at the usability of this model, which has existed for years. This article is about applying Covey’s 7 habits to entrepreneurs. An entrepreneur is also a leader. Of course, you lead your own company. This includes needing certain habits such as being able to work effectively and efficiently, taking action, planning and delegating. Also for the long term: getting to know yourself and continuously improving yourself. Finally, collaboration is important. In your company, in your team and with your clients as well. So what makes an entrepreneur work effectively and successful? Which characteristics are involved? For this article I dived into the material of Stephen Covey (known from, among others, “The 7 habits of highly effective people” and “The 7 habits of success in your life”) and I have combined his ideas into leadership of entrepreneurs. strengthening your character and the ability to get things done. 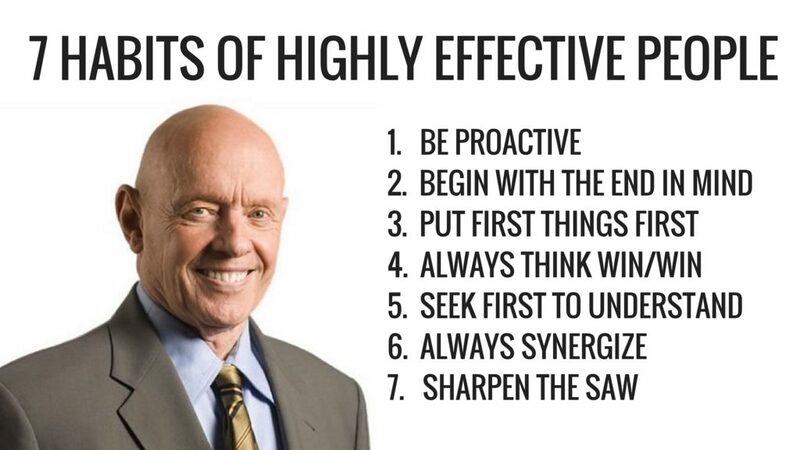 What are the 7 habits that Stephen Covey has developed? You can divide these habits into habits for you personally (1, 2 and 3), habits to work together (4, 5 and 6) and the last habit (7) to optimize and keep yourself focused. This first habit is about choosing in your life. To choose success. To choose failure. To choose procrastination. Take control and responsibility for yourself and for your company. As an entrepreneur you have to deal with very different circumstances. For example, there will be new law that also applies to your company. Or your profit is left behind and it is difficult to see what causes it. You can not change those circumstances. What you can do however, is to choose how you will deal with them and how you respond to it. Not as a victim but as a leader. Not reactive but proactive. In these examples you can choose to read and apply the new legislation in time. And you can take action to clarify why your profit is not high enough and you pick it up. Do you know the Circle of Influence? Proactive people work on the things they can do something about: health, children or problems at work. Reactive people, on the other hand, focus their efforts in the Circle of Concern. Those are things over which they have little or no control, such as the weather or the government. Gaining an awareness of the areas in which we focus our energy on is a big step in becoming proactive. Being proactive also means being true to your values. That you stand for that and act accordingly. That if you feel that a client does not suit you, that you take responsibility for that and dare to say so. My most important values ​​are freedom, fun and connection with others. Especially the latter is important in the contact with my clients. Do I feel the connection? Only then can I really contribute something to other people. When I followed a personal development process at the ITIP in the Netherlands a few years ago, we were given a special assignment. We had to imagine that our best friend would give a speech at our funeral. What would the person say about me? I wrote that speech and it gave a lot of clarification. It made me clear what I had to do in my life. My life goals became much more visible. One was that I wanted to make more conscious choices. Both private and business. I felt that life is too valuable to let the days just pass by. From that moment on I have chosen better with which people I wanted to connect. There came a big insight as well: I felt that I no longer wanted to work for a boss. The other insight was that I went looking for my own identity and to put that into the world as an entrepreneur. That includes a vision. ‘Start with the end in mind’ is very illuminating and it gives you a clear focus. how do I see myself living, working and being with others? how much profit will I gain? which services (high end, middle end, low end) do I offer? how many of what services do I want to sell? how many subscribers do I want on my mailing list? A period of 12 months is very clear. You can cut it easily into months. You can look back and look ahead every month. And adjusting where it is needed. We often are so used to do the things that comes by, through live ‘interruptions’ or through social media. The question is, however, whether they are important enough to work on and if they have to be done now. If you have determined which actions are important, but not urgent, you can work on those tasks without the deadline that gives you immediate stress, Covey says. Take a look at the priority matrix, once devised by President Eisenhower. This matrix is ​​also widely used in many leadership trainings. This matrix can be subdivided into 4 quadrants: important – not important – urgent – not urgent. For more productivity, you have to focus on important – not urgent, the orange quadrant, instead of on important – urgent, the blue quadrant. Everything you are doing in the green quadrant is not important – not urgent, no matter how tempting it is to continue with it, just no longer do it! Or you can choose to plan these activities if you think they are important. Those not important – not urgent tasks are simply activities that do not contribute to the growth of your company. What we often tend to do is to first work on the urgent matters (and even in combination with non-important tasks!). If you continue to do that, you will constantly work under time pressure. By shifting the focus to things that are important but not (yet) urgent, the orange quadrant, you are focusing more on goal-oriented work. That works a lot better and you will achieve your results faster. By continuing to pay regular attention to this, you also create that less and less of your actions will become urgent. The tasks you deploy here are important, and thus contribute to your goal, but you don’t have to execute them NOW. The more time you are spending in this quadrant, the better. After all, these tasks contribute to the goals of your company and in your life. Examples include: achieving a profit goal, looking for a good relationship and working out your business plan. Why is it difficult to carry out the tasks you have put in this quadrant? This often has to do with not being sharp (enough). If you do not have enough clarity, and that can apply to both your business and your private life, chances are that you pay too much attention to the quadrant ‘not important, not urgent’. Do you want a tool to set the goals in your life? To get clearer? Google on ‘wheel of life’ and fill it out. 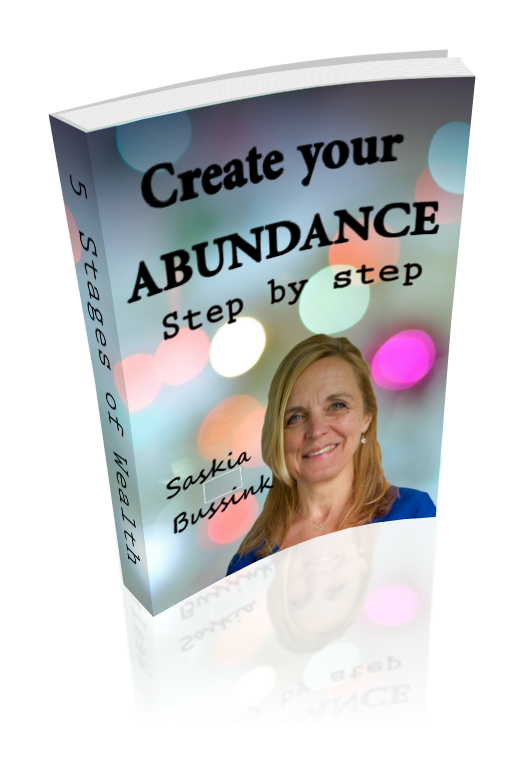 Then you can see immediately in which areas of your life you have something to do. Also read my article on how you can build a profitable business with your passion, mission and vision. 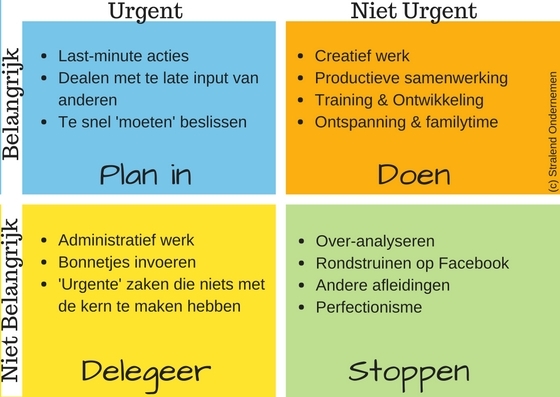 The reason for not being focussed on the 1st quadrant, could also be that you spend too much time on the second quadrant ‘important – urgent’. And that is because you feel time pressure. And that is not surprising. After all, it is an urgent task that is also important! You can solve this phenomenon by being aware of the tasks in the first quadrant important – not urgent. And the more you are aware of that, the fewer tasks you will eventually put into the ‘important – urgent’, the second quadrant. So it requires some practice. In the first instance, and with a lower awareness of how this works, many of your current tasks will be in this quadrant. Those are tasks with deadlines. Such as an assignment that you have to perform for your client or an acute private situation that needs to be solved now. As I indicated above, through discipline and practice, more and more of your tasks will go into quadrant 1 Important – not urgent. 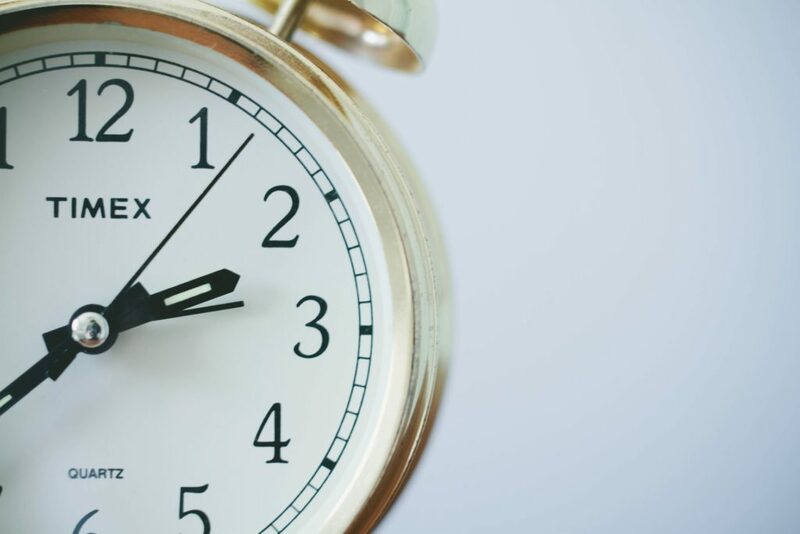 In this way you will learn to schedule more and more tasks instead of having to execute them directly under time pressure. And so this quadrant is becoming less and less full with tasks. The less you have to work from deadline to deadline, the more it will be pleasant for yourself and your productivity. These are tasks that you probably do not find important enough (they are not part of your objectives), but they do feel urgent however. This is what you will experience when others want something from you. It is important for the other person. The phone rings or someone sends you a whatsapp or a facebook message comes by. Here it is important to be aware of the question “is it only important for the other person, or also for me?” And you have to choose whether or not to spend a little time on it. Of course it is nice to to help someone else. Sometimes you create a win / win situation. However, it is important to not place your focus too much on this quadrant. Sometimes it does ask your assertiveness to say ‘no’ more clearly, or, if you see the importance of this task, to plan it and then implement it in the first quadrant ‘important – not urgent’. These are tasks that do not fit your goals and are not in a hurry. These are often tasks that take a lot of time such as ‘just’ sniffing on the internet, watching a movie or turning on the TV. Try not to do them, or simply plan them. Of course these activities in themselves are not forbidden to do and they can provide relaxation. But the question is whether you actually wanted to do something different or not. Maybe you will decide to plan the ‘watch videos’ task from now on if it is part of making your business plan. And then it will fall under category 1 – important – urgent. The first 3 habits I just decribed, ‘ 1. be proactive ‘,’ 2. start with the end in mind ‘and’ 3. important matters first ‘about you as an entrepreneur. The next 3 habits are about working together with your environment, such as you with your team, with your clients and with other entrepreneurs. If you can have attention for the interests of the other person, you will create a long term relationship. Give first. You do this, for example, by giving an e-book or a video series for free. Or give free webinars. Or give away the online training you have developed, to a select group of people. You create your win/win directly because the other person will benefit from it immediately. Besides this, you get to know the other person better and in this way you are building a relationship. It gives you a nice feeling as well, you build that relationship and the other person can become your future client, or an ambassador, or your future businesspartner. Do not be too scared to give away without being paid for it. As soon as you get your (new) service or product clearer and better attuned to your target audience, you can ask for a price that you then regularly increase. Habit 5. Seek first to understand, then to be understood. This is also an important habit in the model of Covey. If you are aware of this communication skill, you will achieve more results. It is the secret of effective communication, according to Covey. Listening carefully and being really interested in the other gives the confidence in a possible collaboration with, for example, your potential clients. You do this by listening not only with your ears and eyes, but also with your heart. Suspend your judgments and opinions about the other person and the subject and ask. In his books, Covey wrote 5 skills for effective communication. That is: 1 + 1 = 3. Or ‘2 heads are better than 1’. It means that you are open-minded working in a team with others and you come into a flow. You like the adventure of finding new solutions for old problems. You will achieve more than the sum of the individuals together. You work creatively in the proces and reinforce each other by bringing all the experience and knowledgde that you have. In this way you will achieve more results than the sum of the parts would do. You valuate the differences in others. The mental, emotional and psychological differences. The next and last feature of the 7 habits for effective leadership is about continuously improving yourself as the most important link in your company. Now that you know the 6 habits, you have to stay focused on their quality and to renew yourself. So this habit ‘sharpen the saw’ is about continuously improving yourself. And you do that by looking at these 4 dimensions. Physical: eating, excercising and resting. A strong body increases your energy and your self esteem. Spiritual: spending time in nature, meditate, pray, work on our values. At this level we make contact with what really inspires us. Covey indicates that everyone does this in his or her own way. Mentally: by reading, writing, learning and teaching. In this way we will keep our mind sharp. Socially / Emotionally: making social and meaningful connection with others. This is also about being congruent in life. This means that you live according to your core values. 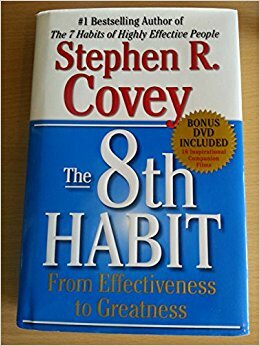 Have you already heard of the 8th habit of Covey? It is called ‘from effectiveness to greatness’. This habit is about fulfillment, contribution and greatness. In this way we move beyond effectiveness. This is also about creating a new mindset, a new habit as well.